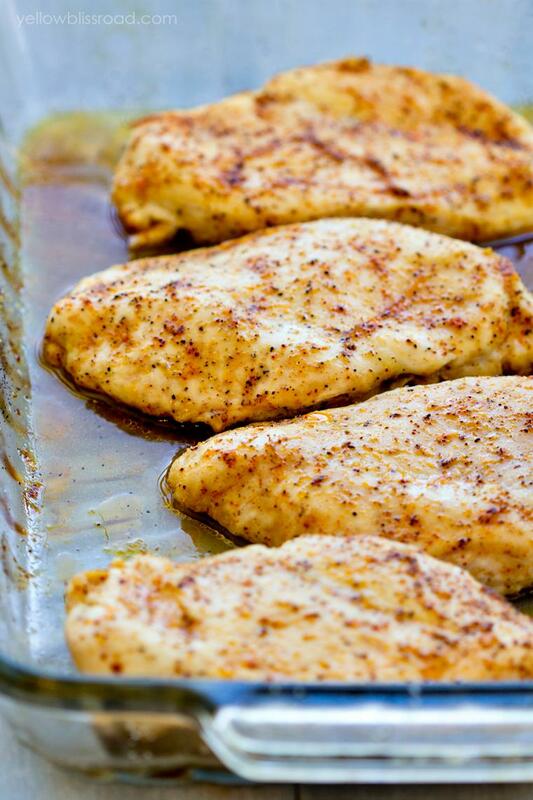 This chicken is both yummy and easy to make, it only takes about an hour to cook and requires three ingredients most already have in their homes. My husband and I made this when we were running low on money and had nearly nothing in our cabinets and freezer. To my surprise it tasted wonderful and I'm going to show you how to cook it. Wash your hands and carefully place the chicken in a baking dish of your choosing. It doesn't need to be very deep. Pour your jar of alfredo sauce over the chicken making sure to coat it well. Top with shredded cheese after coating chicken. Put chicken in the oven for approximately one hour. Check on it frequent as every oven is different. After an hour pull the chicken out, make sure it's not pink in the middle, and serve with whatever you like. Prepare the packet of instant mashed potatoes according to package instructions. Place a good spoonful of mashed potatoes on the plate and lay the chicken on top. Drizzle with leftover alfredo sauce and enjoy your dinner!